Poor Tim! No one ever believes it at home, even when he is telling the truth. It really wasn’t him that ate the last slice of cake, it was a ninja! And he didn’t take the hammer, honest, it was the astronaut who had landed in the garden because he needed to fix his spaceship. 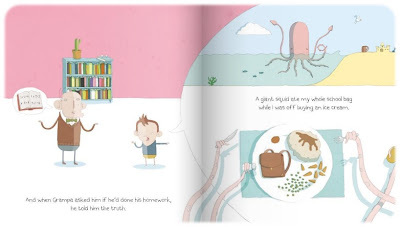 And a giant squid DID eat his schoolbag, which is why he couldn’t do his homework.Nobody believes Tim, who is punished not only for being naughty but for lying. But when the truth is that preposterous, can you blame his parents? Thankfully, Tim is not short of ideas and works out a stratagem that will vindicate him, with the most hilarious consequences. The topic of this book is rather interesting I thought. Showing a child who tells the truth and yet is not believed can be quite risky. 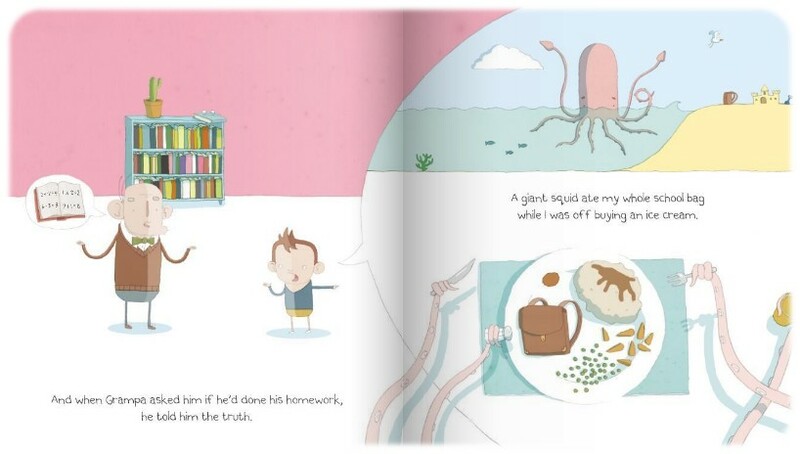 But I think it works well here, partly because the story and characters involved are so outrageous, and although the concept might be lost on younger children, slightly older audiences will take immense pleasure in seeing Tim’s parents having to face up to the fact that they had wrongly accused Tim of lying; children love seeing parents eat humble pie! They will revel in seeing Tim’s reward for his honesty (as well as the punishment dished out at the culprits). The story might therefore spark some interesting discussions on the value of telling the truth and standing your ground when you know you are right. 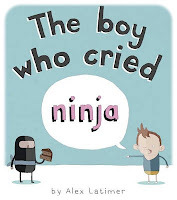 The Boy Who Cried Ninja takes on a traditional tale and gives it a new quirky, trendy shakeup. 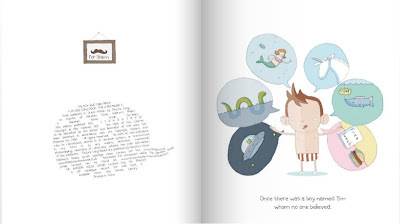 It is great fun and well-worth having a look at! 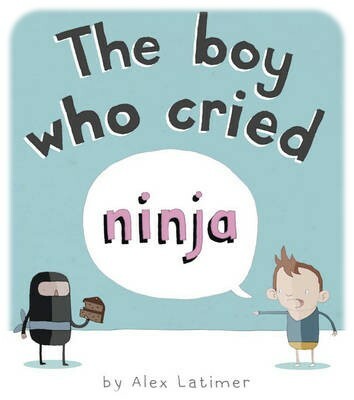 Thank you to Random House Children’s Books for providing a review copy of “The Boy Who Cried Ninja”. Hi I just discovered your blog and look forward to reading through your posts and adding to my book wishlist! I also love your name library mice!